By Jon Greenberg on Monday, March 25th, 2019 at 6:34 p.m.
Republicans have been having a field day rubbing the Democrats’ noses in the outcome of Special Counsel Robert Mueller’s investigation. As the summary from Attorney General William Barr quoted Mueller’s report, "the investigation did not establish that members of the Trump Campaign conspired or coordinated with the Russian government in its election interference activities." Donald Trump Jr. said it is "time to hold the conspiracy caucus in Congress accountable." "These Democrat Truthers spent the last 2 years knowingly lying to the American people about collusion," Trump Jr. tweeted March 25. "They’ve disgraced their offices and should step down." The video attached to Trump Jr.’s tweet video featured Democratic lawmakers, all saying in some fashion that there was collusion between the Trump campaign and the Russians. The Trump campaign sent a memo to television producers, listing top Democratic lawmakers and others and sound bytes of their past statements on collusion. It challenged the producers to ask, "Does this person warrant further appearances in our programming, given the outrageous and unsupported claims made in the past?" To be sure, we still know very little of what’s in Mueller’s report. We don’t know what his team found and why he decided it fell short of a tacit or express agreement between the Trump campaign and the Russian government. With that in mind, we wanted to review what Democrats said before Barr’s memo came out. They used the collusion word a lot. The 2016 Trump Tower meeting where a Russian lawyer dangled the promise of damaging information on Hillary Clinton loomed large in the Democratic narrative. So did the contacts between campaign insiders and WikiLeaks. The most common refrain was they believed President Donald Trump or others in the campaign colluded with the Russians. But they generally stopped short at predicting what Mueller would do. For Republicans, that is a distinction without a difference. For the record, here are some key quotes, with added context from the interviews. As the top Democrat and current chair of the House Permanent Select Committee on Intelligence, Rep. Adam Schiff, D-Calif., has been a point man for the Democrats throughout the investigation. In December 2017, he appeared on CNN’s State of the Union. 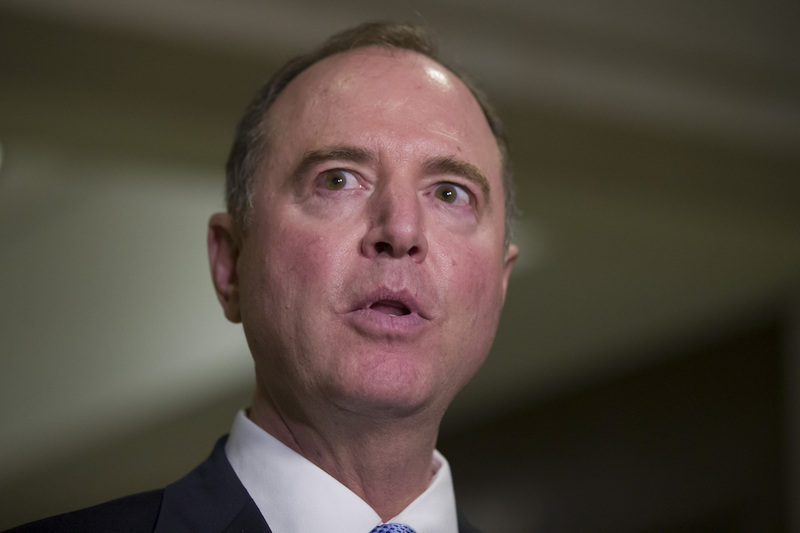 "The Russians offered help, the campaign accepted help, the Russians gave help, and the president made full use of that help, and that is pretty damning, whether it is proof beyond a reasonable doubt of conspiracy or not," Schiff said. "Can you prove beyond a reasonable doubt, (that) will be Mueller’s question to answer." By that point (see our timeline), the public record included the Trump Tower meeting between campaign officials, including Trump, Jr., and a Russian lawyer, who offered damaging information on Hillary Clinton. Campaign adviser George Papadopoulos had pleaded guilty to lying to the FBI, as had national security adviser Michael Flynn. The intelligence community broadly agreed that Russia had interfered with the 2016 election. About a year later, Schiff said, "there’s clear evidence on the issue of collusion," in a CNN interview on January 10, 2019. "But whether it amounts to conspiracy beyond a reasonable doubt, I think, we still have to wait for Bob Mueller’s work." Schiff tweeted similar comments after Barr’s letter was released March 24. "Mueller did not find sufficient evidence to establish conspiracy, notwithstanding Russian offers to help Trump’s campaign, their acceptance, and a litany of concealed interactions with Russia," Schiff wrote. "I trust Mueller’s prosecutorial judgement, but the country must see the evidence." "The evidence is pretty clear that there was collusion between the Trump campaign and the Russians," Sen. Richard Blumenthal told MSNBC host Chris Hayes Nov. 17, 2018. Hayes asked if it really was that clear. "The evidence is there, whether they have enough of it to bring criminal charges is another issue in town," Blumenthal said. A few days before Mueller delivered his report, the Connecticut Democratic senator delivered an ominous prediction. "There are indictments in this president's future," Blumenthal said March 21 on MSNBC. "They're coming. Whether they're after his presidency or during it." Blumenthal was talking about "the credible case of obstruction of justice that is right now against President Trump, about other crimes that clearly there's evidence he's committed." That covers a lot of legal ground, so it’s not entirely clear what crimes he expected Trump to face indictment for. On obstruction of justice, according to Barr, Mueller said the evidence failed to exonerate Trump. Barr’s decision not to pursue that charge left Blumenthal’s forecast high and dry. Other issues related to banking and tax filings and campaign contributions remain open, so Blumenthal has yet to be proved wrong on that front. CNN interviewed Rep. Jerry Nadler, D-N.Y., House Judiciary Committee chairman, on Nov. 30, 2018. Nadler said he definitely saw collusion. "The fact that Manafort and Trump Jr. met with Russian agents who told them they wanted to give them dirt on Hillary as part of the Russian government’s attempt to help them, and that they said fine," Nadler said. "I mean, it’s clear that the campaign colluded, and there’s a lot of evidence of that. The question is, was the president involved?" Nadler told ABC News March 3 that impeachment "is a long way down the road. We don’t have the facts, yet." "There can be crimes that are impeachable offenses and impeachable offenses that are not crimes," Nadler added. "We have to focus much more broadly on abuses of power." "When you look at Donald Trump Jr., and what is on the record, there was clearly an intent to collude," Sen. Ron Wyden, D-Ore., said Dec. 14, 2017. Wyden’s focus was more on Russian money and the Trump Organization — a follow-the-money approach. "Their portfolio consisted of a lot of Russian money," Wyden said. "Then the president didn’t disclose his taxes... There’s a lot to do here." Wyden called the Barr memo "little more than a public relations strategy." "The Barr letter doesn’t square with what is publicly known about Mueller’s investigation," Wyden wrote. "The indictments and other documents Mueller released revealed all kinds of links between the Trump campaign and family and the Russians. You would think from the Barr summary that they had nothing to do with each other." "Over the course of the last year we have seen, I think, a mountain of evidence of collusion between the campaign and the Russians to basically affect our democracy," Democratic National Committee Chairman Tom Perez said after the DNC filed a civil suit against the Trump campaign, the Russian government and Wikileaks in April 2018. Rep. Ted Lieu, D-Calif., said it all in a one-word tweet. "Collusion!" he wrote Dec. 27, 2018. "If you look at the indictment that was handed down on Roger Stone, it very clearly says that a senior Trump campaign official was directed by someone even higher to go seek dirt on Hillary Clinton from Wikileaks, which is a front for the Russians," Lieu told CNN Feb. 12, 2019. "That looks like collusion to me. In addition, you have Paul Manafort, Trump’s former campaign chair, handing over internal polling data to a Russian operative, so I think the investigations need to continue before any judgements are made." "There's circumstantial evidence that (Trump) colluded," Rep. Eric Swalwell, D-Calif., said March 19. "He knew they were doing this. His family was meeting with them. Offers being made. It was being passed to him. He would publicly go out and encourage them to do it." One of the strongest voices for impeachment has been that of Rep. Maxine Waters, D-Calif.
At a town hall meeting of the Black Congressional Caucus Foundation in Washington, Waters urged activists to press for impeachment. "Here you have a president who I can tell you, I guarantee you, is in collusion with the Russians to undermine our democracy," Waters said Sept. 21, 2017. "Here you have a president who has obstructed justice and here you have a president that lies every day." The March 16, 2017, tweet pinned to the top of her profile shows "Trump’s Kremlin Klan," with Russian President Vladimir Putin and Trump prominently featured, surrounded by the faces of Trump’s son-in-law Jared Kushner, Michael Flynn, Julian Assange of WikiLeaks, former Russian Ambassador to America, Sergey Kislyak, and many others.